(Rendering by Woodbury Corp.) An aerial rendering of Holladay Quarter, a proposed development on the former site of the Cottonwood Mall in Holladay. 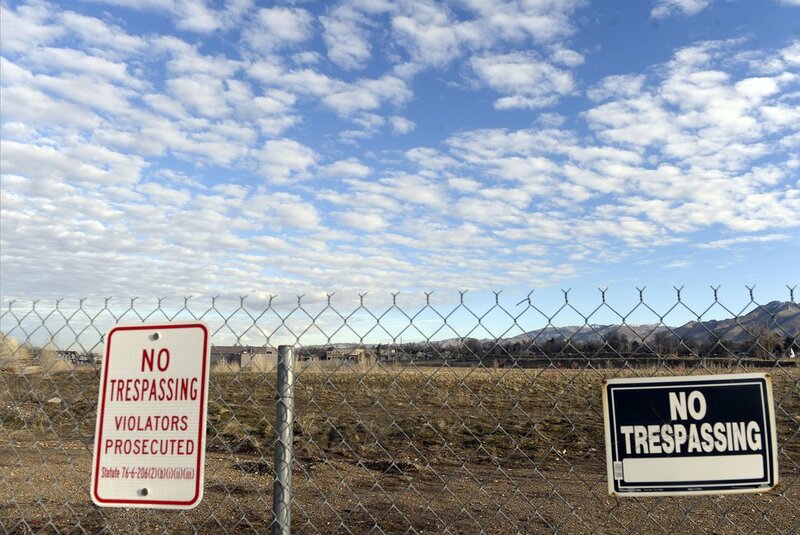 Holladay residents were left in limbo Friday over whether they will get to vote on a controversial high-density development proposed for the former Cottonwood Mall site. After a day of legal wrangling in several venues, though, the Utah Supreme Court has agreed to decide the issue, with the justices setting a fast-track schedule in hopes of meeting key ballot deadlines as Election Day this November looms. Earlier Friday, a 3rd District judge partly rejected attempts by the city and Ivory Homes, Utah’s largest home builder, to derail a citizens referendum petition seeking a Nov. 6 vote that could delay or even shut down the $560 million retail and residential project. After hearing arguments, Judge Richard McKelvie ruled the city’s contract with developers was legally ineligible to be put to a referendum in November, but he allowed a public vote to proceed on the city’s newly adopted master plan for the site. 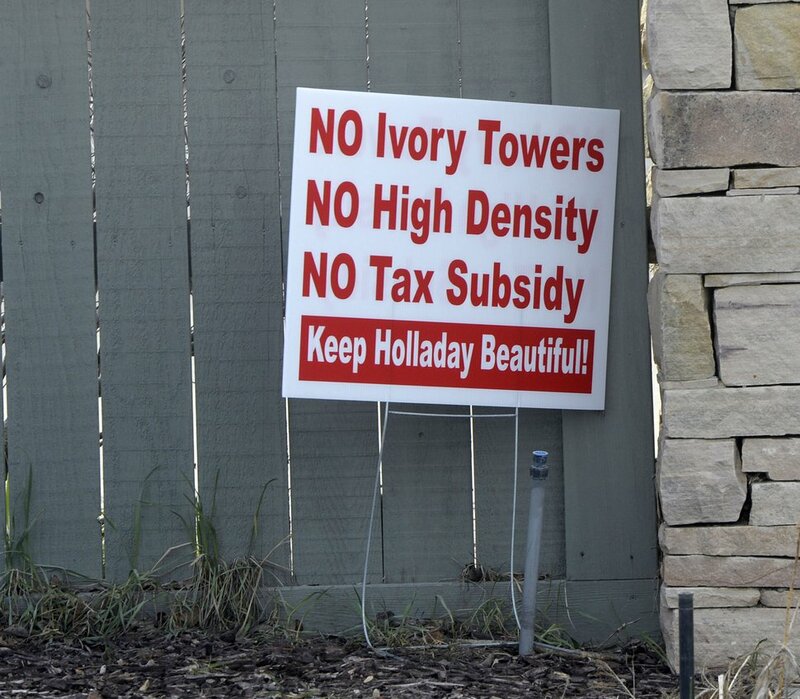 By Friday afternoon, city leaders and Ivory Homes had appealed to the Utah Supreme Court. The justices agreed to take the case and speed up their usual tempo to rule by early October, for a final decision before Salt Lake County mails ballots to a majority of voters. 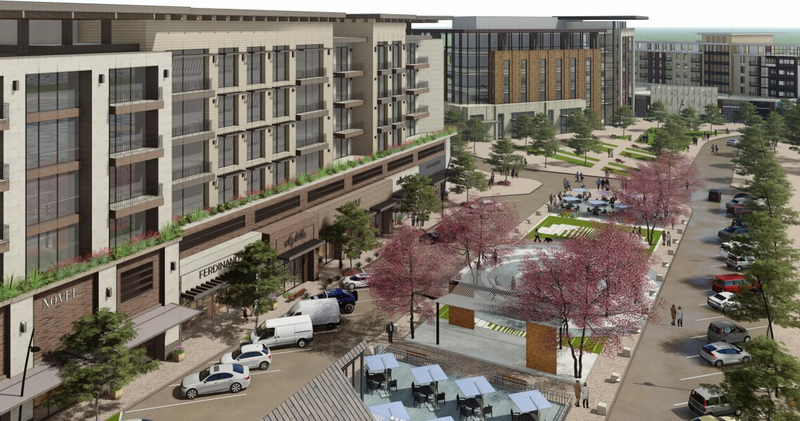 Developers with Utah-based Ivory and Woodbury Corp. have been pushing for more than 18 months for approval to refashion the barren 57-acre former Cottonwood Mall location near 4800 S. Highland Drive into a mixed-use development called Holladay Quarter. Their plan envisions a massive spread of retail outlets, restaurants and offices combined with a 775-unit high-rise apartment complex and 210 single-family homes, including luxury condominiums, brownstones and manor houses. (Al Hartmann | Tribune file photo) View from the south looking north of the old Cottonwood Mall site near 4800 S. Highland Drive in Holladay, as seen in March. City officials approved the project in May, after extensive and well-attended public hearings and many plan modifications. Some Holladay residents are now fighting the development, partly over its density and potential regional impact on traffic. Members of a citizens group, Unite for Holladay, have also criticized how city officials handled zoning decisions and property tax incentives offered to developers. “We’re thrilled that the court ruled that we would have a voice in significant zoning changes,” said Holladay resident Paul Baker, who, along with fellow Unite for Holladay member Stephen Stuart, sued over the city’s June decision to reject a public vote. Holladay Mayor Rob Dahle declined to comment on Friday’s ruling and the dispute’s shift to the Supreme Court, saying the city needed more time to study the implications. In a joint statement, Ivory Homes CEO Clark Ivory and Woodbury’s senior vice president Jeff Woodbury said they were gratified by McKelvie’s ruling on their contract with the city. They vowed to press forward with getting the rest of his decision overturned. Lawyers for Ivory have said that without a resolution in the company’s favor before Election Day, the company “would have no choice but to abandon the project, at a significant loss.” Clark Ivory and his father and company founder, Ellis Ivory, were on hand Friday to observe court proceedings. (Al Hartmann | Tribune file photo) Signs in the front yards of homeowners in the area of the old Cottonwood Mall site near 4800 S. Highland Drive in Holladay, as seen in March. Members of Unite for Holladay gathered signatures and filed what the city said was a valid petition in June to put questions on the Holladay City Council’s approval of the site plan and the developers’ pact on the upcoming ballot, but city officials rejected their efforts on legal grounds. Simultaneously, the city put a special election in motion and authorized the two ballot questions in case the courts ruled the other way. Even as Friday’s legal drama unfolded, city officials faced questions over imminent deadlines for ballot printing. In rejecting the Unite for Holladay petition, the city had argued that adopting the master plan and developers’ agreement simply applied existing ordinances and didn’t create new policy. For that reason, they argued, by Utah law those actions were “administrative” and not eligible to be referred to city residents at the polls. That line of argument is being closely watched by other municipalities as they face increasing pushback from residents over approval of new zoning and higher-density developments. 3rd District Court’s McKelvie disagreed with Holladay, in part. The developers’ agreement, the judge ruled, was binding only on the city, its redevelopment agency, Ivory Homes and the owners of the former mall site. That made approval of the contract administrative, he said. But the site master plan, McKelvie ruled, set new and detailed rules on residential mixed-use zoning in Holladay — rules that will be binding on future owners of the former mall property, are widely applicable across the city, and involved broad policy issues. As such, McKelvie wrote, approving that rezoning plan was a “legislative” act amounting to new law-making by the City Council, and so is eligible to be challenged by referendum. In legal briefs, officials in Holladay had warned that upholding the petition could hobble its future ability to enact any zoning rules without facing constant challenges at the ballot box — or could even allow citizens to enact their own zoning by public vote. Members of Unite for Holladay countered that although it was based on earlier plans, approval of the Holladay Quarter project involved major new policy and tax decisions governing a large swath of the suburban city, meriting public input and oversight at the polls.